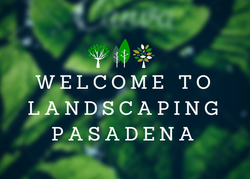 Landscape Design Pasadena's mission is to provide our customers with the utmost care and consideration once they contact us for their landscaping design. We exist to attract and maintain happy customers. When we strictly adhere to this maxim, everything else falls into place. Our services will exceed the expectations of all of our customers and we will continue to keep our loyal customers happy for many years to come. We, here at Capital Landscaping, continually strive to provide our customers with professional quality lawn care and excellent personal service. Since 1949, Burke Equipment Company has maintained a strong tradition of offering top of the line equipment and serving the needs of our customers. Backyard Ponds, L. L. C. - provides professional pond installation and maintainance services in the DC Metro area.